Did you make some new year’s resolutions for 2017? Perhaps you’d like to improve your health, or your financial position, or a relationship, or some other thing. I hope as you take stock of where your life is and the direction it should go in for the coming year that you focused not only on the physical, but the spiritual. Have you made resolutions in the past but failed to make the changes you desired? There are a few reasons why we fail. A generic or broad resolution can be too hard to gauge success. An unrealistic resolutions will quickly discourage us from trying. A resolution made with no sense of commitment will be broken as quickly as it was made. Rather than encourage spiritual resolutions for the coming year, I want to encourage you to make spiritual resolutions for today. When today has come and gone, then I want you to do the exact same thing for each new day—resolve to be the absolute best we can be for the Lord today. Psalm 95 is associated with the dedication of the second temple. The Psalm begins with a focus on praising the Lord (v 1-6), but the latter portion recalls a generation in which Israel rebelled against God, and as a result, were forbidden to enter His rest. It is a warning to the current generation. Today, we need to hear His voice; today, we must not harden our hearts; today, we must not rebel. Today, let’s prepare ourselves to enter His rest. To admonish Christians, the writer of Hebrews cites this text, not once, not twice, but three times (Hebrews 3:7, 15; 4:7). Brethren, today, let us hear Him and not harden our hearts or rebel. Son, go work today in my vineyard. Jesus spoke of two sons who were asked by their father to go into his vineyard. The first refused, but after regretted it and went. The latter said he would go, but did not. Perhaps we’ve been the first, and not gone into the Father’s vineyard. If so, today, let us go. May we not be the latter son; may we not refuse our Father’s call to work in His vineyard. Today, let us proclaim Christ. Let us not underestimate how important other Christians are to our walk of faith. God did not intend for His people to go it alone. The Greek ekklesia appears more than 100x in the New Testament. It is the word commonly translated as church; but it might better have been rendered “assembly,” for that is what it is about—the gathering together of God’s people. Later, the writer would caution us to “…not forsake the assembling of ourselves together…” (Hebrews 10:25). Being together with fellow Christians is a vital part of spiritual growth. That said, Hebrews 3:13 is not limited to the assembly. It is good for us to encourage and build one another up any opportunity we have, even daily. And so, today, why not give a quick call to say hello? 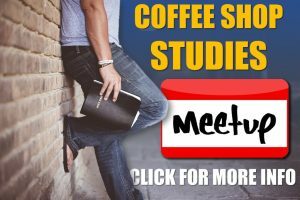 Why not get together for a coffee and to chat? Why not send an encouraging text? Exhort one another today. I am not suggesting we don’t set those long term goals. By all means, do so. Make them realistic, make them specific, and work to achieve them. But, understand, 2017 is made up of 365 days. And so as we enter each new day, let us focus on today, and how we might best use it to the glory of God, for the progress of His kingdom, for the encouragement of His people and the increase of our faith. This entry was posted in Commitment, Discipleship, Faith, Fellowship. Bookmark the permalink.